We have created some brand new fat quarter bundles, which contain a mix of discontinued and new fabric from our brushed cotton ranges. RRP £15.00, now for sale 5 for £10! 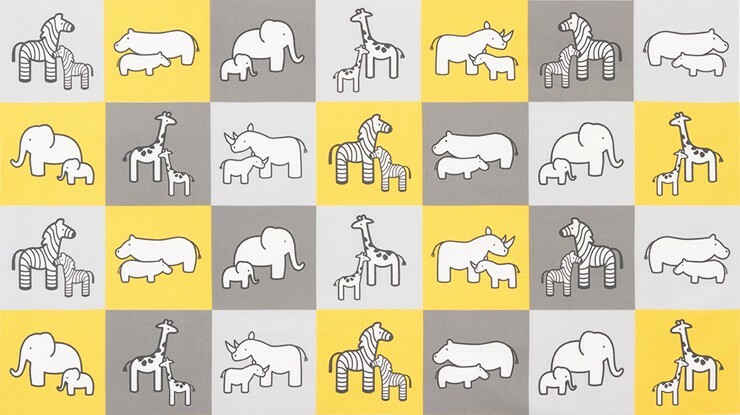 We have recently bought this beautiful new flannel fabric, Little Safari. 100% brushed cotton. 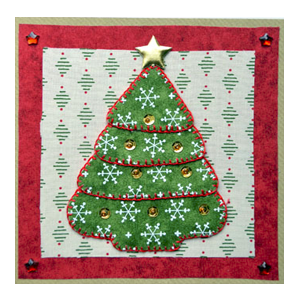 A perfect material and pattern to create the best gifts to new babies and children. 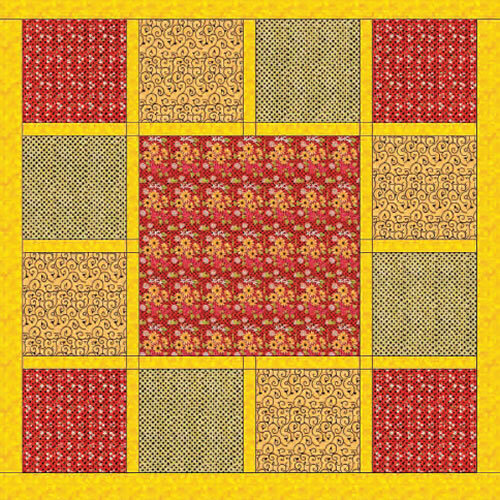 Sure to make a cozy and warm quilt, the whole range works well with each other, but also matches well to our Cozy Cotton range. 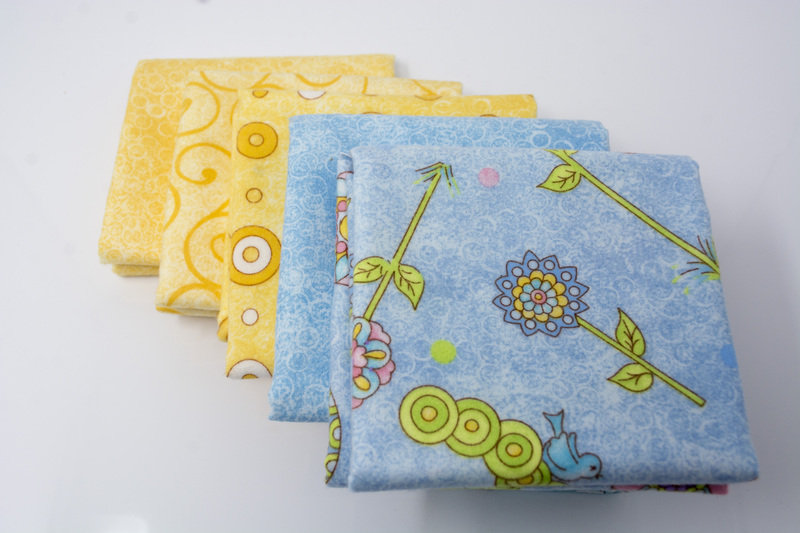 Check out these fat quarter bundles to get ideas on how best to match the fabrics. 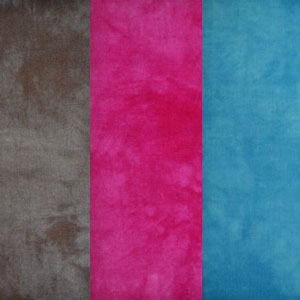 Check out our NEW FLANNEL COTTON fabrics! 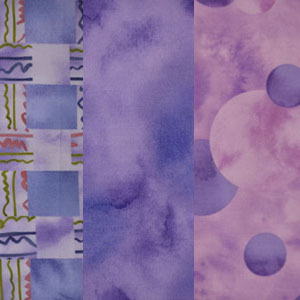 These gorgeous fabrics, add colours and patterns but also blend well with our current flannel collection. We have created a new unique way to display our photographs. Our own photographer VBImages, so kindly gave us her images of animals from around the world. 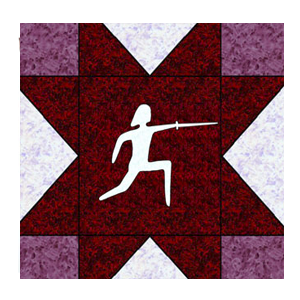 This has given us the opportunity to make something totally different and thus creating our new wall hangings. 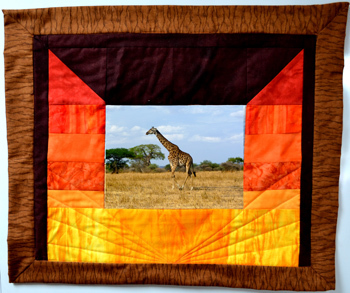 Taken in different landscapes, from the safari, deep within the forest and down in the ocean, our wall hangings are truly stunning. 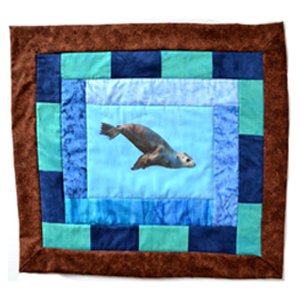 We have over 15 animals available in photo fabric and in kits for you to have one of these truly wonderful pieces. Just pick your favourite animal and you'll be on your way to having one. If however, you can't find your favourite animal please do message us and we'll see if we can accommodate you at a later date. This is one of our newest ranges. 'All a Twitter' is currently one of our new ranges. 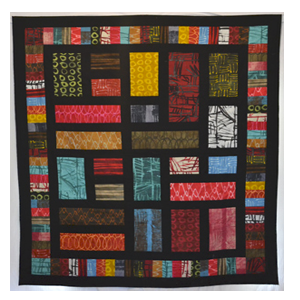 All a Twitter is a flannel fabric designed by Pearl Krush. 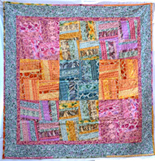 The range has different patterned fabrics in pink, blue, yellow, green and cream. 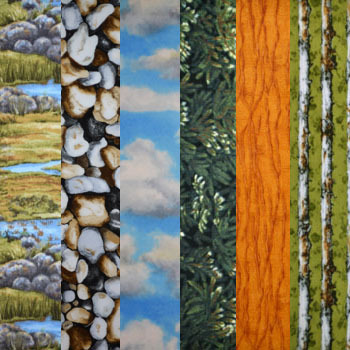 You can now find the collection under: Fabrics- Riverwoods- All a Twitter. 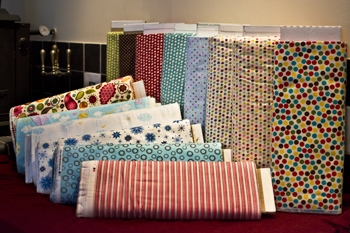 The price is £11.00 per metre or £2.75 per Fat Quarter. Running Wild is the currently one of our new ranges. This new range of horses, forest, marshes and sky scenes are designed by Katherine Gardner and Neoma Soelberg. You can now find collection under, Fabrics- Riverwoods- Running Wild. New fabric from Troy in America. This new range of farm animals are designed by Nancy McClauley. Find now under the Riverwoods collection. 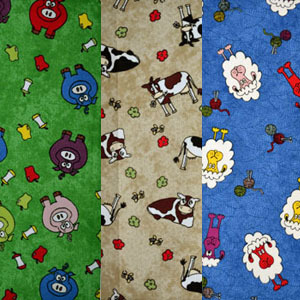 £11 per metre or £2.75 per Fat Quarter. 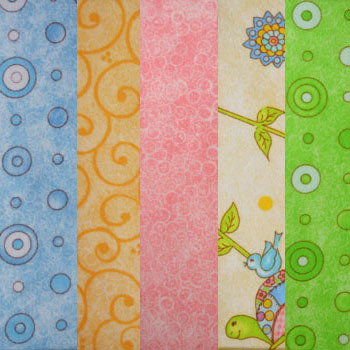 This new range of vibrant patterned colours are designed by Mary Fisher. 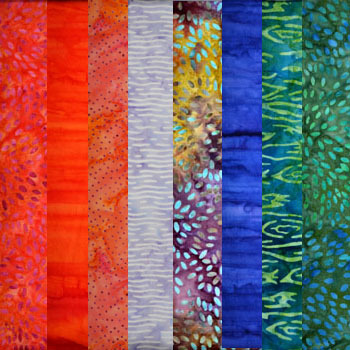 This new range of vibrant individual colours are designed by Marcia Derse. 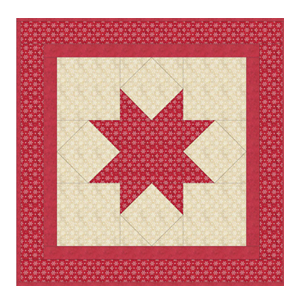 Our new unique Pathways quilt is now available online! 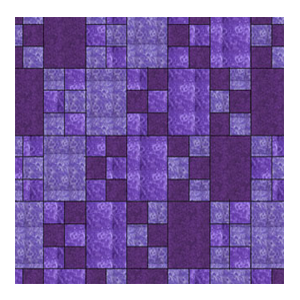 You can also buy the fabric separately, also online. 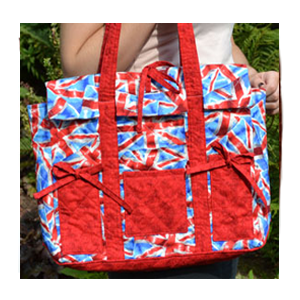 Just arrived our collection of London Tote and Backpack kits. Perfect for day trips. Bags available in a variety of colours ways shown in the pictures below and to the side. 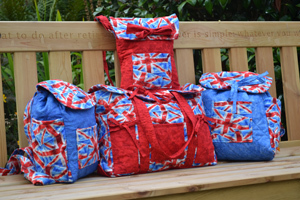 Bag colours can be re-arranged, just choose the colour way you prefer and email us with your preference. Price of the kits: Tote Bag: £35 and Backpack £30. All kits include everything needed to make the bags. View the different types of bags we offer below.